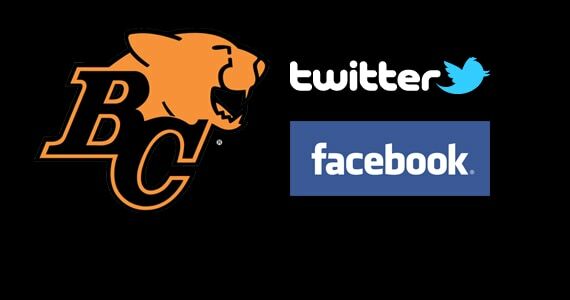 Getting Social: The BC Lions are using social media to engage with fans. There is no doubt that social media has become a valuable tool for many businesses and professional sports teams have taken advantage of this exciting new platform to engage with their fans like never before. News is now updated in real time and teams that have a strong social media presence are expanding their brand. 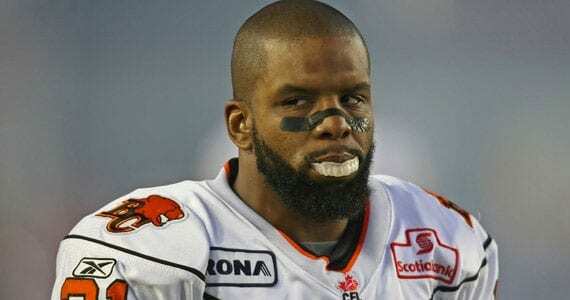 The BC Lions are no exception, and over the last year the club has made a strong effort to take advantage of social media to promote their product. Jacqueline Blackwell is the Communications Coordinator and Website Administrator for the BC Lions. She also runs the Lions Facebook and Twitter accounts. She agreed to talk with us about how the Lions are embracing social media as an organization and where they plan to take it in the future. Q: Jacqueline thanks for taking the time to discuss your social media program with us. Maybe we can start with when the club really started to utilize social media? A: We started our Twitter feed and Facebook page in 2009. Q: There are several BC Lions players on Twitter. Angus Reid, Geroy Simon, Dante Marsh are all prominent on that platform. Does the club offer any social media training to its players or have a policy in place to deal with social media use? A: As far as media policies go, we treat social media as we would traditional media sources. We provide overall media training to players who we believe require it or request it. The vast majority of players who join the club have gone through media training at some point in their college career. As it applies to Twitter and Facebook however, we ask that they use caution refrain from making statements via social media that they wouldn’t state publicly. Such statements can include criticizing fellow players or coaches, officiating, the league or any other remarks that the club would impose a fine for if they were said to a member of the media or in another public manner. Q: The Lions recently held a live Twitter chat where fans got to ask coach Wally Buono questions. I thought it was very successful and a great initiative that I haven’t seen other CFL teams do. Does the club have plans to do more of these types of fan interactions in the future? A: Yes, Wally was the CFL’s first coach/GM on Twitter and is still the only professional head coach on Twitter in Vancouver. He was very receptive to the idea from day one since our overall success as an organization comes from the support of our fans. He will continue to be available via the Q & A’s but has indicated that other coaches should also have an opportunity to speak directly to our fans. We’ll be hosting Q & A’s with both coordinators and other members of the organization moving forward, during training camp and throughout the season. Q: The Lions were one of the first CFL teams to jump into social media. I believe they are second only to the Montreal Alouettes when it comes to Twitter followers, and your Facebook page has over 26,000 followers. What plans does the club have to build on that momentum in 2011? Will the club explore the use of other tools like Foursquare? A: We’re always looking new ways to connect and we’re trying to create a variety of reasons to follow the Lions on Twitter or Facebook. Whether you’re after football content, prizes, player profiles etc. we try to touch on all areas of the club. There are challenges to keep the messaging strong at certain times of the year so promotions such as 100 Days to Training Camp allow us to not only start ramping up to the season, but allow us to give away great prizes and shoot cool videos. Tools like Foursquare are interesting but we want to concentrate on elements we know we can do well rather than spreading ourselves too thin. Q: Obviously, a big part of social media is engaging and networking with others. How is the club planning to do that in 2011? A: Yes, 2011 is shaping up to be a very exciting year both on and off the field – our first tweet-up last year was a success we’ll be engaging some new partners to host them more frequently. We’re always pushing our players for more content too, so we’re looking at getting one of the guys to commit to a blog in 2011. We’re looking at some social media-specific contests and content which gives us some freedom to use creativity and a little fun. We have always been a leader in bringing behind-the-scenes content to our fans and we’ll continue to do that as well. Our customer service staff has also recently launched their own twitter feed specifically designed to keep fans updated on ticket-related info and then in-game information during home games which will help make everyone’s game day experience the best it can be. Q: How about Grey Cup? Will social media play a role in the festivities? 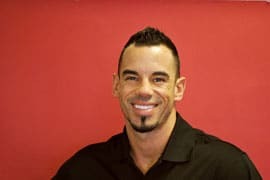 A: The 2011 Grey Cup committee has some huge plans for this November and they will be rolling out an independent social media program in weeks to come. Our thanks to Jacqueline for taking time to discuss the Lions’ social media initiatives with us. It’s going to be an exciting year to be a Lions fan and we’re looking forward to watching the Lions brand grow! Kent Ridley of Ridley Scouting Services checks in with another guest post for BCLionsDen.ca. 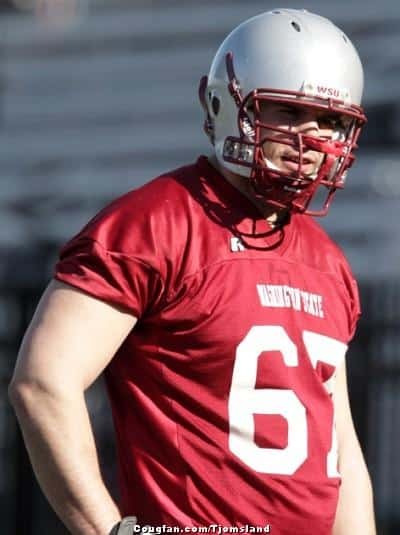 Kent recently attended the CFL E-Camp for the top prospects college football and had the chance to sit down with Washington State offensive lineman Joe Eppele. The 6′-7″ native of Vancouver is considered to be one of the top offensive line prospects for the upcoming Canadian Football League draft. RS: When did you start playing football? A: I started playing community ball in 5th grade for the Squamish Titans. RS: How did you end up at Washington State? A: I attended a summer camp at Eastern with the Vancouver College high school team the summer prior to my move down to the city for my senior year and while I was at the camp I was called up to Washington State because they had heard about me and were interested in seeing me in a practice. After two practices the coaches said they had seen enough and told me to pack my stuff up and following a meeting with George Yarno -their o-line coach at the time- I had an offer for a full ride scholarship at a Pac-10 school and I committed shortly thereafter. RS: What do you prefer to play – OT or OG? A: I enjoy both positions but feel the most comfortable with OT because it has been where I have worked for the majority of my collegiate career. I played my first games ever at guard this past season and picked up three starts at the position. I enjoyed the physicality and aggressiveness of the position as opposed to the more strategic controlled aggression that is required at OT because of the open space and need to protect the edge. A: Being on the field in double overtime for the winning field goal in our victory over the Huskies in the 2008 Apple Cup and seeing the stands empty onto the field. RS: Biggest achievement in football so far? A: Continually earning the opportunity to compete at a higher and higher level in the sport while never letting myself be happy with where I am and maintaining a consistent need to improve my game. RS: What do you expect to bring to a CFL team? A: I believe as an athlete who had the opportunity to compete at the Pac-10 level I bring a level of experience and dedication to the sport that can only be achieved through living it firsthand. I am a 6’8 athletic lineman who brings a heightened level of aggressiveness and realizes my best years of football are still ahead of me. I am passionate and eager to excel in every aspect of the game and will stop at nothing to achieve greatness. RS: Any advice for the 2011 Draft Class now that you’ve been through the E-Camp? A: Come hungry, you only get one shot at the E-camp so don’t cut any corners and make sure you are prepared in every aspect and leave it all on the field. It’s a meat auction out there so make sure you are the Filet Mignon.